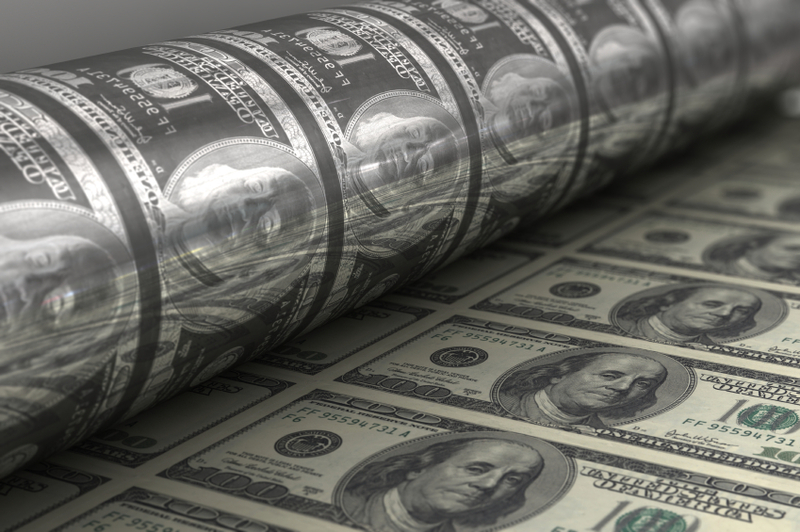 HomeGold IRA BlogCurrencyQuantitative Easing, Part I: What is Quantitative Easing? You may often hear news about “quantitative easing”, “QE” (sometimes with a number following it), or the economic “stimulus” plan. What is it, what does it do, and who makes the decisions on it? Read below to have these basic questions answered. First, it’s important to know the basics of the Federal Reserve’s meeting schedule and communications with the public. The Federal Open Market Committee (FOMC), the Federal Reserve committee responsible for making monetary policy, is composed of 12 members and required to meet a minimum of four times per year in Washington, D.C. They schedule eight meetings per year, occurring about every six weeks. Unscheduled meetings may take place as well. A policy statement is issued after each meeting summarizing the Committee’s economic outlook and any policy decisions made at the meeting. The Chairman/Chairwoman of the Fed holds a press conference four times a year after a meeting to give the Committee’s economic projections and context for their policy decisions. A full set of minutes for each regular meeting is published three weeks after the meeting takes place. Complete transcripts of meetings are published five years after they take place. All of this information can be accessed on FederalReserve.gov. At these meetings, the Committee often discusses its quantitative easing economic stimulus program and what they plan on doing with it in the near future. An article in Investopedia simplifies the definition of QE as when “the government buys stuff to stimulate the economy.” You may remember our explanation of what it actually means when the government “prints money”. In the simplest of terms, the Fed creates money out of nowhere to buy financial assets from commercial banks, which the commercial banks then lend out their customers. The process pumps new money into the money supply in hopes that it will stimulate the economy and help it grow. In the United States there have been three rounds of the program, referred to as QE1, QE2, and QE3. QE1 took place when the financial crisis of 2008 first hit, and in November of that year the Fed began purchasing $600 billion in mortgage-backed securities. Another round came in 2010 when the Fed set out to buy another $600 billion in Treasury securities by the end of the second quarter of 2011. A third round was announced in September of 2012 after the Fed decided to purchase bonds and securities at a rate of $85 billion per month, to be continued until the job market had sufficiently recovered. In summary, quantitative easing is a program implemented by the Federal Reserve that injects new money into the American economy in hopes of helping it grow. Since too much of any economic stimulus program can lead to inflation, news relating to QE tends to move markets before it’s even released. Investors and the press heavily scrutinize Fed statements down to every word and gesture, but it is important to at least know the headlines when watching the markets. For gold investors, knowing why and how QE affects gold in particular can help you make more informed decisions. Stay tuned for Part II of this article, “What Does Quantitative Easing Mean for Gold?”, for further information on the relationship between QE and gold.